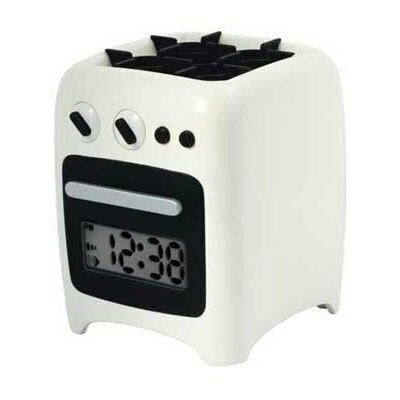 This 60's style alarm clock will get you out of bed in style! Conveniently sized and small enough to fit in the palm of your hand, this little clock has a digital time and calendar display as well as 4 cool tunes (with vibration) to wake up to! 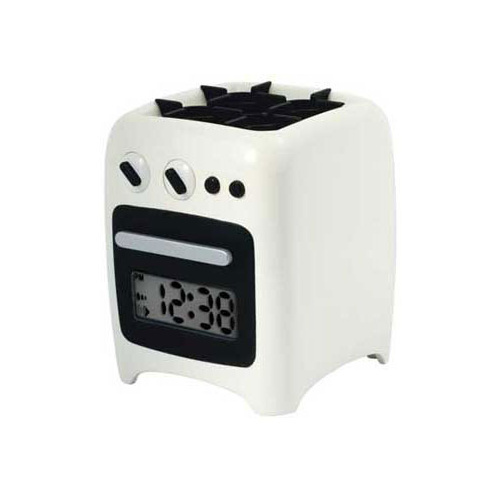 And while you may think it's the cutest alarm clock in town, it's only one in a series of home appliance clocks that are a great gift idea for friends or loved ones! So if you need inspiration to get out of bed in the morning - or to remind someone of their chores - this funky oven is sure to do the trick!